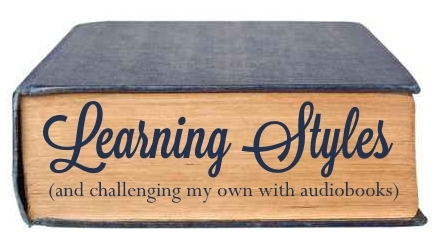 I’m the same way – I do not do well with auditory learning. I learn much better by watching, reading or doing. That said, I have never actually listened to an audiobook or have ever felt the desire to. I just feel like my brain would frolic off into who-knows-where and I would’ve wasted my time. The only thing I can listen to and learn something from is The College Info Geek podcast… as long as I’m not doing anything else (besides going for a 1-1.5 mile walk). The audiobook thing would be a total bust for me if they didn’t have a go-back-30-seconds button! Listening while walking (or, heaven forbid, running) is something I really need to get back into.